Today it’s a great pleasure to welcome Marcha Fox to ForeignCorrespondent. Marcha is a multi-talented author of science fiction novels—a genre for which she is uniquely qualified given her more than 20 years’ experience at NASA’s Johnson Space Center in Houston, Texas where she was a technical writer, engineer, and manager. She also holds a degree in physics from Utah State University, which was but a prelude to her interest in the unexplained mysteries of the cosmos. Inspired by her love of science fiction to pursue a career in a technical field, Marcha hopes to instill the same fascination in young readers by including a tantalizing dose of accurate science in her stories, which are written in the tradition of classic hard sci-fi. Born in Peekskill, New York, she has lived in California, Utah, and Texas in the course of raising her family. The mother of six children, grandmother to 17, and so far, great-grandmother to five, Marcha’s never at a loss for something to do. Besides writing, she’s a professional astrologer and amateur astronomer who pampers her two Bengal cats and a sassy tuxedo while trying to keep up with her friends, family, and home situated on a half-acre of weeds in the Texas Hill Country. Please join me for my interview with Marcha. When I was old enough to hold a pencil, or maybe even a crayon. I remember writing a story in 1st grade about me and my next door neighbor. In 6th grade, I was writing science fictions stories about the extraterrestrial origins of our teachers. Q. What advice would you give to someone who wants to become a published author? Realize that this is not something that happens overnight and if you think you’re going to make a living doing it anytime soon, think again. The odds of becoming a bestselling author and making huge sums of money are about the same as if you went to Hollywood to get a job as an actor or actress. Nonetheless, if writing is in your blood and it’s something you can’t ignore, get all the practice you can, read voraciously, study others’ work, and never give up. If you want to earn a living writing, then get a job as a journalist or technical writer. A personal connection with the characters is critical, so you live the story vicariously through their eyes. Emotional involvement is essential. If a book can make me laugh and cry, it’s usually one I’ll remember and even read again someday. Vivid imagery is important, too. I’m a visual person, so this also makes an impression on me. If a story is all action and dialog, I’m usually not very impressed. Learning something thanks to an author’s research is another factor that I look for, whether it’s about human nature, science, history, geography, or cultural. Q. If your book became a movie, who would be your first choice to play the lead roles? Here’s the list. Since I came up with this a few years back, the ones noted to play the kids are probably too old now. Oh, well. For Gabe, the botanist in “The Terra Debacle: Prisoners at Area 51”, I think the actor who narrated the audiobook, T. W. Ashworth, would be perfect! Thyron, the telepathic walking planet, would obviously have to be animated. Q. What’s your favorite under-appreciated novel? There are dozens, so I couldn’t begin to name just one. Q. Do any of your characters have qualities/characteristics that are similar to yourself? I think they all have some part of me, whether it’s the scientist, mother, manager, friend, adventurer, or astrologer. Either that or they’re people I’d like to know, or I’ve compiled from those I have known, for good or ill. LOL. Then there’s Thyron, the telepathic walking plant who’s the protagonist in “The Terra Debacle: Prisoners at Area 51.” He may be more like me than any of the others, though he’s a lot smarter than I am. Q. Is being a writer a curse or a gift? I think it’s both. A curse because it’s something I just have to do, regardless of how frustrating it can be at times, yet a gift, because it’s so satisfying and fun when I’m really on a roll with my muse, the two of us flying along at Mach 10, or perhaps the speed of thought. Q. Where do you write and how long on average does it take you to write a book? I have a desktop computer in my home office where I do most my writing. However, the best ideas can come anytime or anywhere, such as doing something entirely mindless, e.g., mowing, pulling weeds, doing dishes, vacuuming, or even cleaning the cat litter box. I don’t really know how long it takes me to write a book. If I focus on it and don’t let anything else get in the way (hahaha), I can get a draft out in about six weeks, but that’s only the skeleton. After that, it depends on how much research I have to do, editing it as much as possible myself, eventually working with beta readers, incorporating their comments, then the final edit. Thus, I’d say no less than a year. In a way, I’m one of those people who never finishes a book but rather abandons it, because new ideas keep coming at me for plot twists, character personality glimpses, or imagery/descriptions. So after I think I’m done, I really need to let it sit for at least six months while all this processes through. I definitely write in layers and continue to refine it for quite a while after I thought it was done. It’s easy to incorporate changes in ebooks, but a bit more of a nuisance with the print versions. Thus, with this next one, I need to remember not to think it’s done when I type “The End.” For me, that’s only the beginning of the end. Q. How do you market your books? What avenues work best? This is probably the most frustrating part of writing for me. I’m an introvert at heart and have a hard time with self-promotion. I do a lot of tweeting, have Facebook pages, a blog, and websites. I’ve probably had the most success with author groups like we have at RRBC. 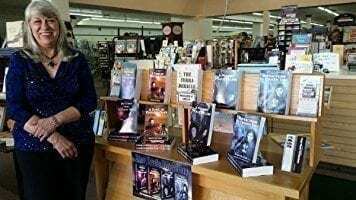 There’s so much competition out there, and we also wind up in a do-loop where places like bookstores and libraries aren’t interested if you don’t already have a big following, yet if you can’t get the book out there, how do you find readers? I live in a rural area, which makes it more difficult, too, for me to get out there and connect with people face-to-face. Paid advertising has been a bust, too. If I weren’t one of those “born writers” who HAS to write, I’d avoid this occupation like the plague. I’ve written all my life, but now that I’m retired and don’t have to make a living at it, I can indulge in being an author, but the income is pretty pathetic. People out there want books for free, which are easy to find these days, then every time you turn around you’re paying for services unless you do it yourself, which is what I try to do. This, of course, cuts into my writing time. It’s almost a year since my last book came out and I haven’t done any serious writing other than reviews and blogs since. If there’s a panacea out there for marketing, I haven’t found it, and as you can see it’s easy for me to go on a rant about it. I make most my income from my astrology clients via my valkyrieastrology.com website and my astrology book, “Whobeda’s Guide to Basic Astrology.” Next to that, I make some helping other authors with cover design, formatting, editing, and creating book trailer videos, which I do through my website kallioperisingpress.com. However, writing fiction is where my heart is, but as you can probably figure out, there isn’t much time left. Q. Is anything in your books based on real-life experiences or are they all solely the product of your imagination? Since I write science fiction and worked for NASA for over twenty years, that experience definitely had a bearing on my writing. Raising six children certainly had an influence, as well as my life in general. But my books are entirely fiction, though they’re based on things that interest me. When you figure I’m a physicist who’s also a professional astrologer, you can see that my interests are rather diverse. I love weird stuff, i.e., mysteries of the universe, quantum physics, metaphysics, psychic phenomena, conspiracy theories, etc. There’s a lot of fodder there for stories. Q. If you could have dinner with one person, dead or alive, who would it be and why? Without a doubt, it would be Richard P. Feynman, who’s unfortunately dead. He was such a fun and interesting character to say nothing of being a brilliant physicist. 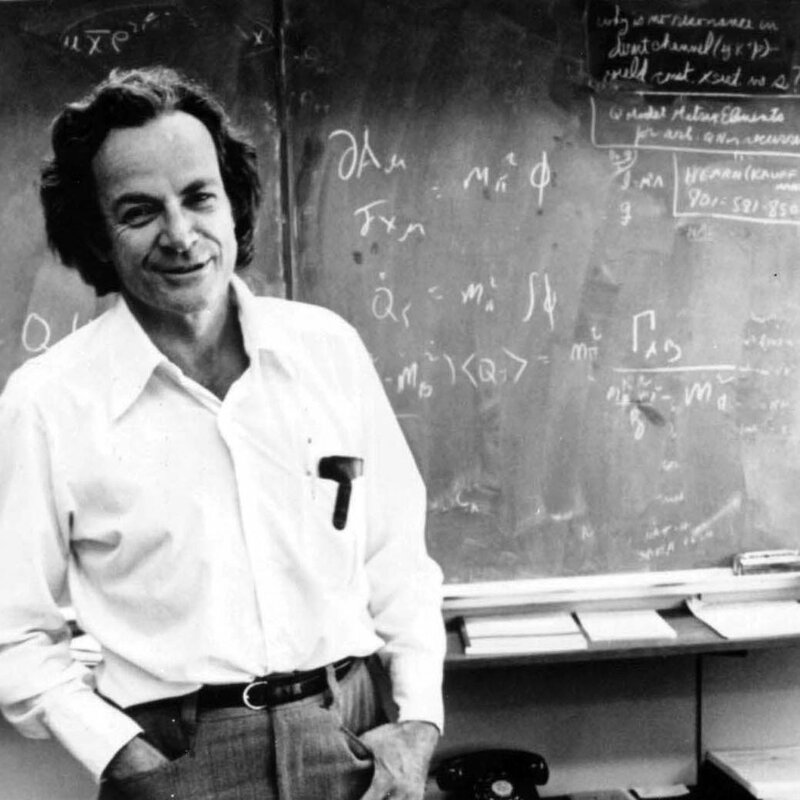 His book “Surely You’re Joking, Mr. Feynman” shows that a scientist at the genius level doesn’t have to be dry and boring. Or politically correct. Over the years I’ve done a lot of DIY psychotherapy. LOL. Along those lines, “Your Erroneous Zones” by Wayne Dyer; “Feelings Buried Alive Never Die” by Karol Kuhn Truman; “The Emotion Code” by Bradley Nelson; “Journey of Souls” and “Destiny of Souls” by Michael Newton, and a host of astrology books, which are the original source for psychological analysis, as Carl Jung discovered, which have all had a huge impact. I’ve gotta say that I’ve learned more about myself and human nature in general from astrology than anywhere else. Q. If it were mandatory for everyone to read three books, what books would you suggest? First, at least one of Michael Newton’s books, either “Journey of Souls” or “Destiny of Souls.” Next, Linda Goodman’s “Love Signs,” which contains a wealth of information about relationships based on astrological compatibility. Last, but not least, one or more of mine, preferably print copies, because I could really use the money. Q. If you could spend a day picking the brain of one author, who would that be? Why? I’d like to pick the brain of Dr. Steven Greer. He’s written numerous nonfiction books about UFOs and weird stuff like that, which fascinate me. He’s a medical doctor who would have no reason to lie about any of that stuff, and I’d like to know more about how he knows what he does. If you mean a fiction author, it would be very hard for me to name only one. If I had to, it would probably be Corbin Duke, one of the authors of “The Worst Man on Mars.” That was one of the funniest books I’ve ever read, other than Scott Skipper’s “Alien Affairs” series, and I can always use a good laugh. For me, authentic, interesting characters who come to life, an unpredictable, complex plot with plenty of suspense due to lots of twists, a strong philosophical message beneath it all that makes me think and see things a bit differently, probably politically incorrect, and strong emotional involvement such that it makes me laugh out loud one moment and cry the next. Q. What’s next for Marcha Fox? 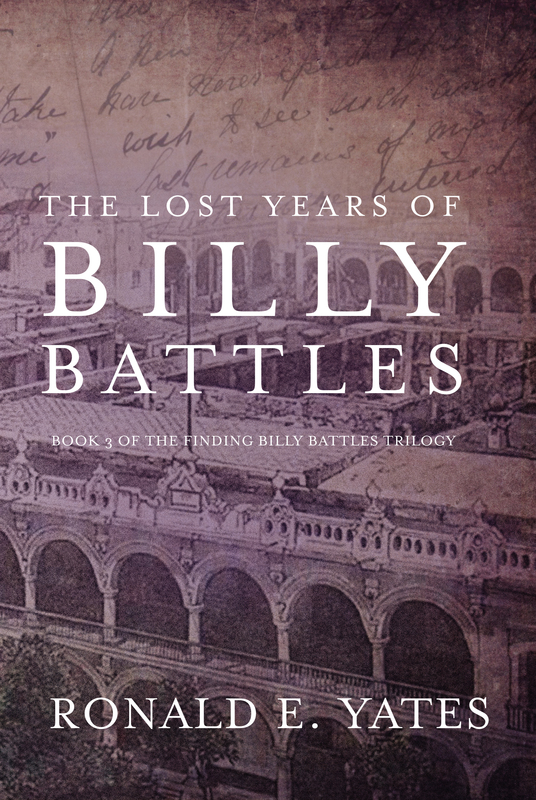 <Sigh> After I return from the Space Coast Book Lovers Conference in Florida this June, I hope to get busy working on my next one, which I started a couple of years ago. I put it aside to write “The Terra Debacle,” which it turned out had elements in it that have a bearing on this final book in the series, which will stand alone, yet ultimately tie all my other books together. It’s called “Dark Circles” and will have a slightly deeper, darker side than the others. Maybe one of the reasons I haven’t gotten too far with it is because I’m intimidated by everything I want to include (like my definition above of a “great book”), besides tying up all the loose ends of my stories. I’m also going to have the Star Trails Tetralogy series made into audiobooks. “The Terra Debacle” just came out as one, which I hope will stimulate interest in the series as a whole. My thanks to Marcha for joining me today. I highly recommend that you check out her books on Amazon and elsewhere. You won’t be disappointed! Here are Marcha’s social media links. Buy links for her books and the audiobook are on her website.